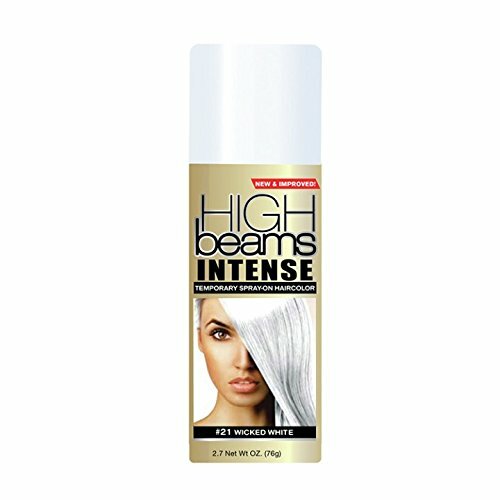 Grow 50 years older in the blink of an eye with this bright White Hair Spray. 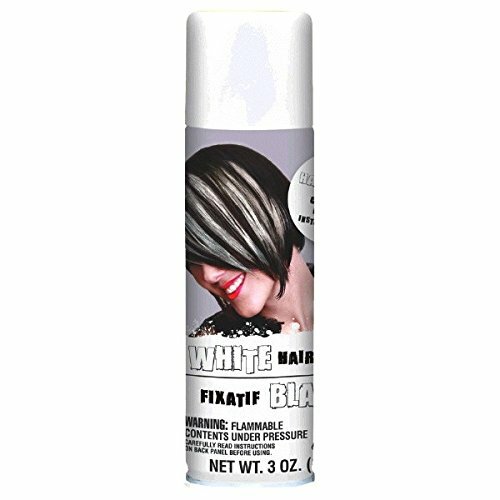 Ideal for dressing up like an old man or lady, this white hair coloring spray is a quick and easy way to give locks a temporary paintjob for a costume party or Halloween party. Apply a few streaks or cover every inch of the hairdo, then simply wash it out with regular shampoo. For best results, be sure to shake the can vigorously for several seconds before applying and after every few sprays during application. Water washable liquid for the temporary appearance of graying hair of all types. Available in a variety of sizes. 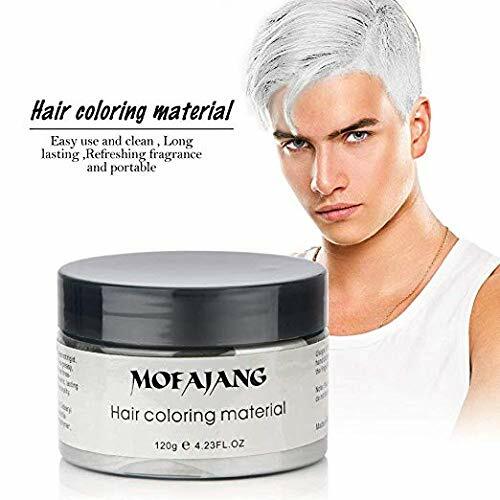 Blends with existing hair color to give a realistic shade of gray. Stronger effects can be achieved with multiple coats.How to Use:Can be brushed or sponged into the hair for a silver or white effect. As the color dries, it will absorb the hair color and become darker. A second or third coat may be needed. For best results, apply additional coats over a smaller percentage of the previous coat to give realistic variation of hair color. 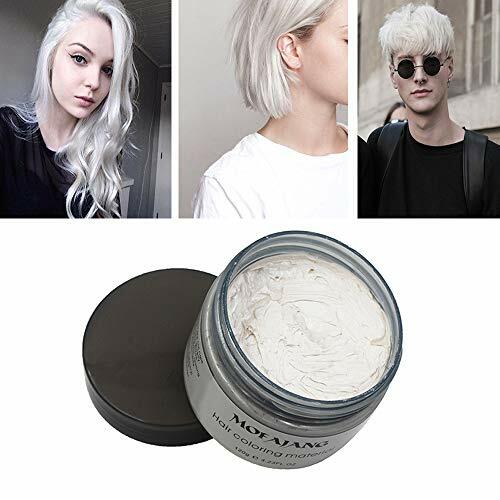 The Hair Silver can be used on light colored hair with additional coats of Hair White to give a silver-white look. To remove, wash hair with shampoo and water.The Mehron Story:Mehron Makeup has been the leader in professional makeup for over 90 years. Our products are used on the runway, stage, and movie sets around the world. Mehron Makeup is proud to offer distinct professional products for each of our three major makeup segments: beauty, body art, and performance. Proudly made in the USA since 1927. 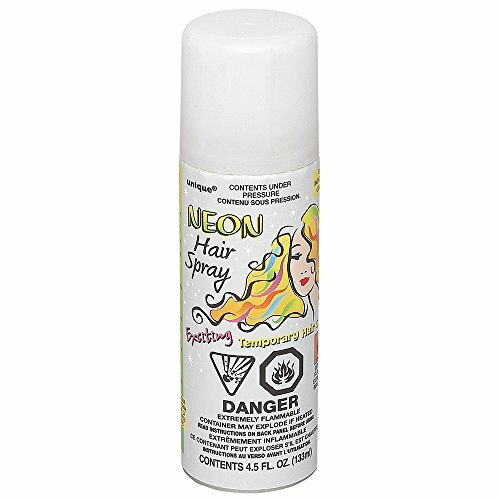 Add some unique color your costume or outfit with this Neon White Hair Spray! The hair accessory includes a 3 oz. 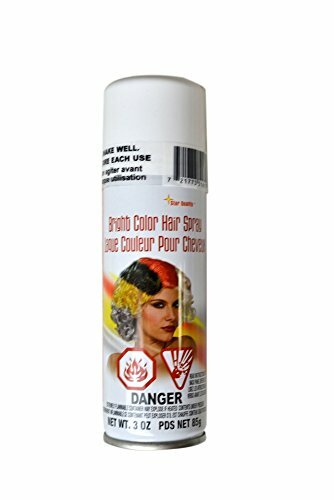 bottle of temporary hair color. The hair color washes out with warm water and shampoo.